This inaugural “Cottonwood Christmas Parade of Lights” will raise funds to help a local man who, despite insurmountable challenges in his own life, has worked tirelessly to help bring love, peace, and change to the Short Creek community. 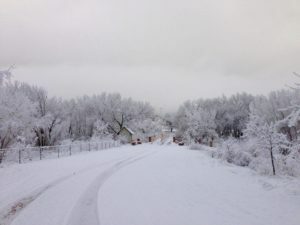 As recently as last year, many Short Creek residents experienced extreme opposition when they attempted to hang Christmas lights or play holiday music at their homes, from FLDS church members coming onto private property to vandalize Christmas displays to being criminally charged by the local Marshal’s Office for playing music. Now, the Short Creek community is coming together like never before to celebrate Christmas in a very big, very public way. 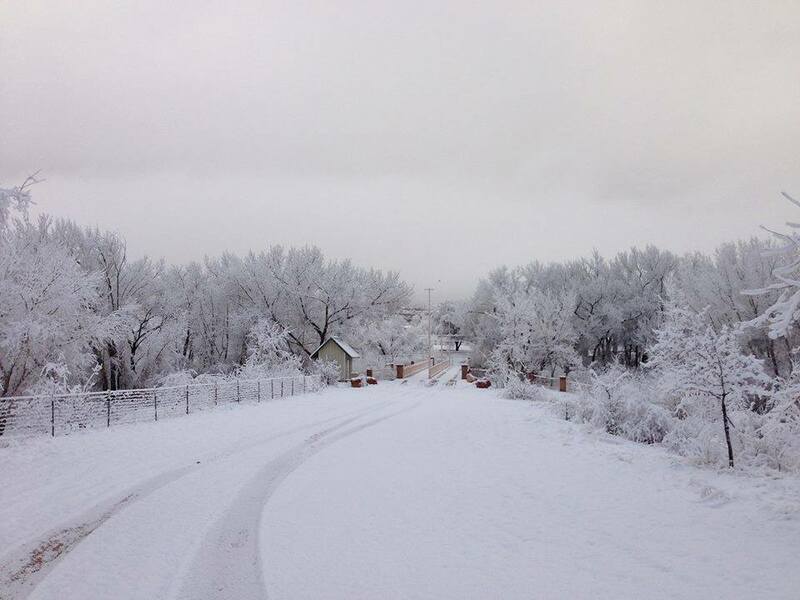 Cottonwood Park, located at the corner of Central Street and Academy Avenue in Colorado City, will be filled with Christmas carols and community merriment Friday from 6-10 p.m. as visitors enjoy horse and buggy rides, train rides, holiday goodies, and an enormous lights display. Heaters have even been set up in the park to help keep attendees warm during the event. Visitors can enjoy the lights display free of charge. Punch cards will be sold for $5 each that can be used for rides, hot beverages, and treats. Donation jars will also be located throughout the park with donations gathered and proceeds from the event going to benefit Hildale resident Terrill Musser, a former FLDS church member who has been instrumental in effecting change in the Short Creek community and helping others who, like him, have left the confines of the FLDS sect and are now finding their way in an unfamiliar world. Anyone who has attended an event in Short Creek within the last two years has likely seen or met Terrill Musser. Musser is confined to a wheelchair due to a debilitating illness called Milroy disease, but despite frequent pain and periods of being bedridden, Musser has become a force for change in the Short Creek community. He can often be seen at community gatherings carrying his youngest child in his lap as he maneuvers his wheelchair around the venue, greeting people with encouraging words and endless smiles. More often than not, you’ll find that Musser is one of the individuals who organized the event. From being a founding member of the “We the People Coalition,” Short Creek’s community alliance, to organizing protest rallies to fight against corruption within the local government, to helping create a local food bank, to organizing volunteer efforts after devastating floods killed 13 people in 2015, Musser has worked tirelessly as an advocate in the Short Creek community – despite the physical toll such efforts take on him. One of the most impactful things Musser does, Jessop said, is reaching out to individuals who are just emerging from the confines of the FLDS sect and helping them as they return to the community and face an unfamiliar and often frightening new life. “He took the fear out of coming home,” she said. Near the beginning of December, Musser developed an infection that quickly spread from his foot to his hip and left him bedridden for days. In a Facebook post written on Dec. 8, Musser stated that he would likely lose all of the skin on his legs as a result of the infection. Nevertheless, he remained positive. Musser is now in need of medical treatments that are not covered by his insurance, Jessop said. She and others in the community have rallied to organize the “Cottonwood Christmas” event to raise money to help him get the treatment he needs. 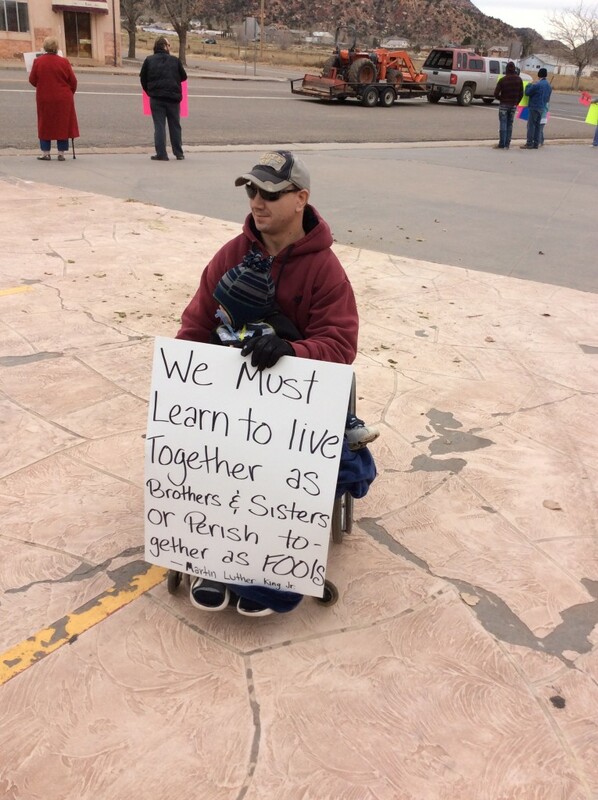 And although it is not in his nature to ask for, (or even accept) assistance from others for himself, he is now desperately in need of medical treatments that are not covered by his insurance. I think you will agree, one of the best things about growing up in this community was how we have always created amazing, (almost impossible!) things together in the Spirit of Brotherhood. People, let’s do what we do best. As a community, lets rally together and support our Brother and Friend. Due to Musser’s current condition, it was feared he would not be able to attend Friday night’s event, Jessop said, so a sleigh has been built for him to sit in during the festivities, equipped with a heater and an electric blanket to keep him warm. Jessop invites Southern Utahns to come out for a fun, festive evening and join together in celebrating Christmas and helping Musser and his family. What: Cottonwood Christmas Parade of Lights. When: Friday, Dec. 23, 6-10 p.m.
Where: Cottonwood Park, located at the corner of Central Street and Academy Avenue in Colorado City, Arizona. Details: Free admission; punch cards $5 for activities and goodies. Contact: Short Creek Festivities Facebook page. *Ed. note: Event date corrected. Event takes place Friday, Dec. 23. Washington County People Should Flood This Event with Love and Acceptance to All Those Turning away from The Evil that has Stagnated These People and Children. Thank God Its Coming to an End!